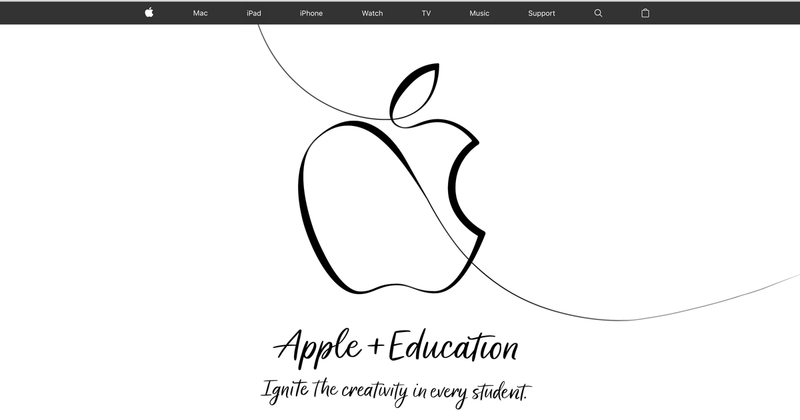 Apple did a rare redesign for its home page Tuesday, one featuring the education themes of its Chicago EdTech media event. It utilizes a a version of the Apple logo drawn with Apple Pencil on iPad. During the media event, Apple showed slides with the same kind of imagery, including sketches of the presenters and other announcements. Apple used the event to announce new education software and a new iPad aimed at education, including support for Apple Pencil.